President Obama is giving new meaning to the term "bully pulpit." Reuters reports that, "President Obama took an opening shot at conservative justices on the Supreme Court on Monday, warning that a rejection of his sweeping healthcare law would be an act of 'judicial activism' that Republicans say they abhor." The Los Angeles Times reports that Mr. Obama took the podium, "warning Monday that overturning [Obamacare] would be an 'unprecedented, extraordinary step.'" The New York Times reports that, "Mr. Obama offered both a robust defense of the law and a barbed warning to justices thinking of striking it down." For Mr. Obama, third-world-style politics override dignity and appropriateness at every turn. First, Obama scolded the United States Supreme Court like disobedient schoolchildren at his 2010 State of the Union Address. Apparently Obama couldn't restrain himself because, after all, he disagreed with the Court on its Citizens United case. And now, Obama warned the Supreme Court at a news conference covering issues between the United States, Canada and Mexico. Prime Minister Stephen Harper and President Felipe Calderón stood by as Obama attempted to intimidate the High Court on a pending domestic policy case. Ultimately, I am confident that the Supreme Court will not take what would be an unprecedented, extraordinary step of overturning a law that was passed by a strong majority of a democratically elected Congress. Maybe Obama is preparing for a new career in stand-up comedy. Except, normally, good comedy contains at least an element of truth. Does Obama really believe that overturning his unprecedented and extraordinary law would be "unprecedented" or "extraordinary?" The Supreme Court's job is to strike down unconstitutional law. As a former constitutional law instructor Professor Obama should know at least that much. Surely the constitutional scholar knows how Marbury v. Madison has been applied for over 200 years: the Supreme Court may strike down laws if found to violate the Constitution; whether passed by a strong or weak majority. Does Obama believe that we have really short memories? "Strong majority?" Really? In ramming the overreaching debacle through, Obama committed the same crime for which he forced Egypt's president, Hosni Mubarak out of office — governing against the will of the people. Obama, Pelosi and Reid were aware of the polling numbers. Mr. Obama knew that a strong majority of Americans opposed the massive expansion of federal control otherwise known as Obamacare. A law carrying such far-reaching transformation should never be passed strictly on partisan lines. Remember, the only bipartisanship about the entire healthcare coup d'état were the 34 Democrat lawmakers who voted against it! The Democratic leaders which controlled both chambers of Congress by huge majorities were so stubbornly entrenched that they were even willing to use a Rules Committee scheme to "deem" a Senate version passed, fearing a vote deficit. To get the necessary votes, Mr. Obama had to bribe, threaten and coerce moderate Democrats to fall in line. One example was the false promise on abortion coverage made to secure the vote of pro-life Democrat Ben Nelson from Nebraska. Additionally, Democrat leaders overtly bribed Nelson with the "cornhusker kickback" provision in which Nebraska would get 100% funding for Medicaid in exchange for Nelson's vote. The radical and corrupt overreaching of Obama led to an unprecedented and extraordinary opposition movement. By overspending and governing against the will of the people, Mr. Obama singlehandedly produced the Tea Party movement. Unfortunately, the power of the people as expressed through the Tea Party could not stop the Democrats from ramming the law through on Christmas Eve, literally at the midnight hour. Mr. Obama looked the other way when Republicans won the governorships of Virginia and New Jersey. Next, in a special election for the seat Ted Kennedy held for 47 years, a Republican won the election by campaigning as the vote against Obamacare. The 2010 midterms were also a referendum on Obamacare and were such a disaster for the Democrats that even Obama acknowledged that he was dealt a "shellacking." At Monday's news conference, Mr. Obama also warned that if "an unelected group of people [the Supreme Court] would somehow overturn a duly constituted and passed law," that would be an example of "judicial activism, or a lack of judicial restraint." First, all duly constituted and passed laws are subject to the Court's power of judicial review. So, Obama's rhetoric is nothing more than an emotive, political red herring for the dumbed-down public. Ironically, if any law is questionable of being a duly constituted and passed law, it is Obamacare. Mr. Obama should be embarrassed to suggest that Obamacare was "duly passed" when in fact the law was forced on the people over protests, clashes at town hall meetings and enormous rallies across the country, including one with hundreds of thousands of protesters in Obama's own back yard. Does Mr. Obama really view the 2,700 page maze of laws and bureaucratic discretion within the law that not one lawmaker read before voting for, as "a duly constituted law?" The suggestion that the sweeping law that grants incalculable power to unelected HHS appointees was "duly constituted," is debatable at best. The fact that the White House has no contingency plan in the event that Obamacare is struck down is more evidence of the it's-my-way-or-the-highway attitude of Mr. Obama. Ironically, Obama now directs the same tactics he used to ram through his unwanted flagship at the Supreme Court — by warning that the law is invincible because it was duly constituted and passed. To insult the intelligence of the Supreme Court by misusing the terms "judicial activism" and "lack of judicial restraint" is unacceptable. Mr. Obama may have been successful in forcing moderate Democrats to see things his way. But bullying members of the High Court with insulting rhetoric might produce a different result. 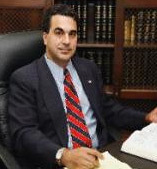 Monte Kuligowski is an attorney and writer whose legal scholarship, including "Does the Declaration of Independence Pass the Lemon Test?" (Duke Journal of Constitutional Law & Public Policy), has been published in several law journals. His opinion commentary has been published by the Washington Times, Virginian Pilot, Pajamas Media, American Thinker and other venues. His commentary has been quoted by Rush Limbaugh and is widely posted and cited by diverse media outlets. Is it fair to say: 'Zimmerman shot an unarmed teen'? How sturdy is the Obama narrative that 'keeps us silent'?